Never run out of your favorite Ayurvedic products again! Always get the best price with 5% savings on every AutoShip order! AutoShip is a convenient way for you to get the products you want delivered to you on a regular schedule. You can customize the shipping date, frequency, quantity, shipping address, billing address, and payment method in the My AutoShip section of My Account on our site. You can easily cancel your subscription and future orders anytime. Changes to orders can be made anytime up to 24 hours before the scheduled order shipment date. Select your favorite products and add them to your cart. Decide your delivery frequency and adjust it anytime up to 24 hours before the scheduled ship date. After receiving your first order, you will be notified 5 days before each subsequent order is shipped. Looking for answers? You’ve come to the right FAQ. How do I sign up for Banyan AutoShip? How do I make changes to my AutoShip deliveries? How do I change the order date on my AutoShip deliveries? How do I skip a delivery for my AutoShip deliveries? How do I cancel my AutoShip deliveries? Can I add items to my next delivery? If the item is on sale or in a promotion at the time I start my AutoShip subscription, will I always get that discounted price for future orders? Will I be notified of backordered items that are scheduled for delivery? What payment methods are accepted for AutoShip? How do I change the credit or debit card for my orders? Can I cancel an item that is ready to ship? Is AutoShip available in Canada and other international countries? Why can't I add some items to my AutoShip subscription? Which credit card will be charged for my AutoShip order? Can I change when I receive email reminders? If my subscription item is on sale or in a promotion, do I get the promotional discount in addition to my 5% AutoShip discount? Does the 5% AutoShip discount apply to every subscription order? What are the shipping costs for AutoShip? Can I choose an expedited shipping option for my AutoShip order? How do I change the email address for order reminder emails? Signing up for Banyan AutoShip is easy; it can be done while browsing on a product page or while reviewing items in the shopping cart. To subscribe, simply select the AutoShip option for your desired product, select your preferred shipment frequency, and then check out as normal. Once you’ve joined, AutoShip is easy to manage. You can change your next order date, skip an order, change your selected frequency, or cancel a subscription by visiting the My AutoShip section of My Account on our site. Please allow up to 24 hours for modifications or cancellations to be processed. To change your next order date, visit the My AutoShip section of My Account on our site up to 24 hours before the scheduled order shipment date. Click the date of your next delivery, shown in orange next to the calendar icon, and select the date you'd like your order shipped on. This will change the order date for that entire order. To skip a subscription order, visit the My AutoShip section of My Account on our site up to 24 hours before the scheduled order shipment date and click the Skip This Delivery link to skip the entire order. To cancel a subscription, visit the My AutoShip section of My Account on our site up to 24 hours before the scheduled order shipment date and click the Cancel Subscription link. You will receive email notification that your subscription has been cancelled. Yes! To do so, you must be logged into your account. Visit the product page of the item that you want to add to your next delivery and look for the Add to My Next Shipment button.  You will have the option to add this as a one-time delivery or as a new subscription. To view future deliveries, visit the My AutoShip section of My Account. 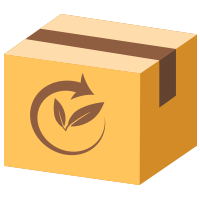 To change the shipping address associated with a specific subscription order, visit the My AutoShip section of My Account. From here, click Change next to the delivery address of the subscription item you would like to adjust. To change the billing address associated with a specific subscription order, visit the My AutoShip section of My Account. From here, click Change next to the payment information of the subscription item you would like to adjust. No. The price you get on future AutoShip orders will be the price of the item at the time it's shipped. Rest assured, current product promotions and discounts will be automatically applied to your AutoShip order whenever your items are eligible. Yes! If the item(s) on your subscription is unavailable at the time of your next delivery date, you will be notified via e-mail. We will notify you again once the item is back in stock and at that time, you can choose to schedule your delivery for a future date or ship the item(s) right away. 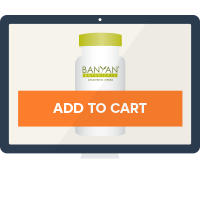 All Banyan AutoShip subscriptions require a debit or credit card for payment. Alternative payment forms, such as PayPal, money orders, and cashier checks cannot be accepted at this time. To change the credit or debit card associated with a specific subscription order, visit the My AutoShip section of My Account. From here, click edit on AutoShip Credit Cart and update the information with your chosen credit or debit card. Your debit or credit card will be charged on the day your order ships. You can edit or cancel an order up to 24 hours before the next order date. If it is within 24 hours of the shipment date, we are unable to make changes to your order. Unfortunately, AutoShip is not available in Canada or in any other international countries. Banyan AutoShip is available for domestic orders only. Certain items are not eligible for AutoShip subscriptions. This includes our tongue cleaners and neti pots. The card you used when placing your first Banyan AutoShip order is the card that will be charged for all orders. If you would like to change your payment method, please read the, "How do I change the credit or debit card for my orders?" FAQ above. 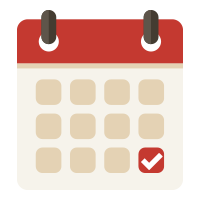 Unfortunately you cannot change the schedule of email reminders for your Banyan AutoShip orders. When you create an order, an email reminder is automatically set to be sent to you 5 days before your AutoShip order is scheduled to ship. No, only one discount may be applied to each item, but you will always receive the greatest discount available. If an item is on sale, you will receive the sale price only. If an item is regularly priced and not on sale, you will receive the 5% AutoShip discount. Yes! 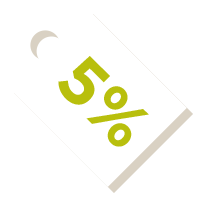 The 5% AutoShip discount applies to all subscription items that do not already have a discount or promotional price applied. Banyan AutoShip orders ship by our standard shipping method, which is calculated by order total. For more information on our shipping charges, see the Shipping & Handling section of our site. No, currently Banyan AutoShip orders ship by our standard shipping method, which is calculated by order total. Expedited options are not available for AutoShip orders. If you would like to receive your product sooner visit the My AutoShip section of My Account on our site up to 24 hours before the scheduled order shipment date. Click the orange calendar icon next to the date of your next delivery and select the date you’d like your order shipped on. This will change the order date for that entire order. To change the email address associated with your account and order reminder emails, visit the Account Information section of My Account and update your information with your desired email address.